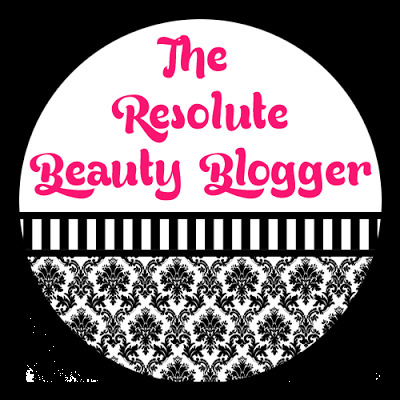 Welcome to the July updates of the beauty blogger resolution series called the Resolute Beauty Blogger. July Update: I gained 73 Twitter followers and 14 Bloglovin followers. It seems that it's become more difficult to increase my Bloglovin followers. Has anyone else experienced this and/or can give advice on how to fix it? July Update: I kept track of my monthly blog stats using the table that I discussed in my January post. July Update: I did the Beach Bum to Boardwalk Babe blogger collaboration which was fun and the second part of this post is a tag about my writing process. 4. Do not do more than 3 hours of blogging related "stuff" per weeknight. July Update: I'm getting better about this. July Update: I've been continuing my "Frugal Fridays" series. July Update: No progress on this. However, I do plan a review/tutorial for a look using the Lorac Pro Palette 2 and a post on tips to save money while shopping for beauty products. July Update: I'm more comfortable posting full face photos. July Update: No progress on this. The most exciting thing that happened this month is that Murad featured me on their blog page, if you haven't seen it you can check it out HERE! The "My Writing Process Tour" is a blogger tag where we talk about the steps we go through in order to get a blog post published. I was tagged by my good friend Tanya over at Leopard Lace and Cheesecake. Be sure to check out her writing process HERE. I'm working on this week's posts and updating my social media accounts. Although I schedule my posts 1-2 months in advance, I don't usually write my posts too far ahead. The weekend before is when I write my 3 posts for the week. I feel like mine is different because I am on the older side of beauty blogging, there isn't many of us in our 30s. I feel this allows me to give honest and thorough reviews of anti-aging products. Also, I'm very honest in my reviews overall. I have no problem telling my readers if a product just isn't good. I started The Beauty Isle because I am obsessed with makeup and love talking about it. As a reader myself, I appreciate blogger reviews more than magazine or "professional" reviews so I wanted to get my voice out there to help others in their purchases as well. I have a monthly calendar and I schedule my posts 1-2 months in advance. I write them in pencil because I'm always switching things around. I usually take photos in bulk and sit down on weekends to write out the week's posts. I probably re-read it a million times before the post gets published (and I hate it when I find mistakes after it's been published!). I promote my posts on my social media accounts throughout the week. To continue the Writing Process Tour, I nominate Lauren from Will Sing For Makeup, Louise from Lilting-Grace, and Karen from KP Says. Can't wait to learn about everyone else's writing process!